“Uruguay” means “River of the painted birds” in the traditional Guaraní local language; this tour will take you to traditional estancias, the biosphere reserve of the eastern wetlands and the oceanic coast! Highlights: We start our tour in the capital city of Montevideo. The next day we drive to the amazing coastal province of ‘Rocha’ – protected area and declared world biosphere reserve – where we arrive to a small hotel built in the same style as the nearby 17th century fort; we are right on the border with Brazil. We ride along isolated beaches, over shifting sand dunes, through palm groves and shady woodlands, in National Parks and on along the shores of the wetlands. The variety of birds – hummingbirds, flamingos, kingfishers, flycatchers, rheas (similar to ostriches) – that we see in these habitats is incredible. The pace will be quite fast (with lots of canters) – the grassy pastures and firm beaches allow this on strong and well-trained criollo and criollo cross horses. We will stay at charming seaside inns and working ranches – estancias – where we ride with and help the gauchos with cattle drives. You will be able to feel connected with the traditions of this unexplored country and skirt the most diverse landscapes, surprising wines, excellent food and experience the hidden treasures found on the paths less travelled. Today is set aside to relax and explore the coastal city of Montevideo. Transfer along the wonderful coastline called “Rambla” to the downtown hotel. Enjoy lunch at the lively Port Market and a short walking tour of the “Old City” of Montevideo. Accommodation at Don Boutique Hotel. L.
After breakfast, we will be driven to the Brazilian border and into Rocha, arguably the most beautiful province in Uruguay with pristine beaches, emerald shores and a great network of lagoons. We will arrive to Estancia “La Rosada” located next to the small town of La Coronilla. After lunch, enjoy a wonderful ride along the estancia in order to get to know our horses. After a typical “merienda”, continue onto Fortin de San Miguel, built in the same stone as the nearby Portuguese fortress. We can admire the views out across an enormous stretch of fresh water – one of the largest fresh water reserves of South America, the "Merín Lagoon"; we are right on the Brazilian border. This area is home to a wide variety of birds and we will see many different native trees and bushes. Dinner and accommodation at “Fortín de San Miguel" Hotel. AB, L, D.
Day 3: Barra de Chuy beach – Brazilian border & a ride along a pristine beach. After breakfast, we will be drive to ‘Chuy’, a very curious town straddling the border where guests can step into Brazil and hear the locals speak a strange language made of a mix of Spanish and Portuguese. Continue onto our horses to start a nice 3-4 hours ride towards the coast! After a picnic lunch, riders may have a pleasant “siesta” discovering that gauchos’ saddles are so comfortable to ride as to sleep! In the afternoon, we will enjoy a fast-pace ride along the wonderful, isolated ocean beach of ‘Barra Chuy’. Visitors seldom reach this beach so we can enjoy a long, exhilarating canter with no signs of habitation as we ride across the pure white sands alongside the Atlantic Ocean. We arrive 22km (12 miles) further south to "La Coronilla" and stay at small beachside hotel. AB, L, D.
Day 4: Santa Teresa national park, dolphins & shipwrecks. treacherous coast; indeed, Cabo Polonio (where we ride later) is named after a Spanish galleon that went down just off the point. Luckily ‘Beagle’ with Charles Darwin aboard did not succumb to this fate and Darwin spent quite some time in Uruguay collecting species and most likely starting to formulate his theories of evolution. After a traditional picnic close to the fortress or on the beach, depending on the weather, we will continue along the coast towards the lovely town of Punta del Diablo. Dinner and accommodation at Posada Terrazas de la Viuda. AB, L, D.
The day starts with a drive to the ocean coast. We will meet our horses and ride to the hidden Brioso Lagoon and along the beach of Valizas. After enjoying a picnic lunch, we will ride into the desert! This area has been declared a natural animal reserve and a Biosphere Natural Reserve by UNESCO. We will ride to Cabo Polonio, a charming fishing village which can only be reached by horse or SUV trucks. The fascinating part of the area is the huge area of shifting sand dunes, as we ride through it is possible to imagine that we are right in the middle of the Sahara. Dinner and accommodation at Posada La Perla AB, L, D.
After breakfast, we will visit the light house, the seals and sea lions that populate the small islands and make up one of the largest populations of seals in the world; very occasionally we spot a migrating whale. Riders can swim in one of the most beautiful beaches of the country. We will then begin our ride towards the wetlands of Rocha. We will ride along the Castillos Lagoon and across an amazing untouched landscape of Palm groves and Ombu Forest. We will enjoy a picnic lunch on the way before reaching the lovely & charming Estancia Guardia del Monte, a traditional working estancia. Accommodation and dinner at Guardia del Monte. B, L, D.
Morning ride along the estancia´s fields. We will have the chance to work alongside the gauchos and their trusty dogs as they tend to the cattle and sheep on this working ranch. The work varies depending on the time of the year, but the gauchos always welcome a bit of help checking and moving the stock or putting animals in the corrals. Sometimes a lame animal has to be caught and tended to. The wonderful, friendly gauchos with their berets and their knives tucked into their colorful belts all seem to have been born on a horse and it is a delight to be riding with them. We will enjoy lunch at the neighbour estancia Barra Grande where we will enjoy lunch and a tyipical ¨Uruguayan merienda¨. We will then ride back to Guardia del Monte. Dinner and accommodation. B, L, D.
The day starts with a lovely breakfast of homemade bread, jams and cakes, admiring the views of the countryside. We will start our ride towards the small town of Castillos where we will visit a local “gaucho store”. Traditional bridles, typical riding “bombachas” (riding trousers), gaucho hats and colorful ponchos will be available to admire and buy! We will then enjoy a picnic lunch and say goodbye to our horses before heading back to Montevideo – to the airport, port, the city, or to start an extension tour. AB, L.
A lovely extension tour to the rolling hills of Lavalleja Province, where guests will be able to ride for an extra two more days surrounded by a completely different landscape. Located in the small town of Mariscala, the cozy and charming countryside inn of “El Balcon del Abra” offers great comfort and great horses. Guests will discover wonderful trails to ride around the hills, along the countryside and across streams including the fantastic Salamanca Grottoes and lovely rides to nearby estancias. After 7 days riding in the east, this extension tour can be the perfect option to ride some extra days combined with some relaxing quality time in a beautiful spot in the middle of the hills. An unforgettable extension tour to one of the prettiest areas in Uruguay: The province of Maldonado where the famous and renowned Punta del Este and Jose Ignacio are located. We will be staying at a Luxury Wine Lodge in the area of La Barra from where we will enjoy great rides along the vineyards, to local interesting places related to art and gastronomy and to the Beach. You will be able to visit the winery, enjoy a wine tasting combined with a lovely “farm to table” lunch overlooking the vineyards and visit art studios and exhibitions from local artists. This small extension tour is a perfect blend of horse riding, Uruguayan culture, wines and art. Horses & Tack: During this ride we have worked very hard to maintain the same set of horses throughout the whole tour. Our intention if that riders can actually build a bond with their horse and enjoy not only the landscape and ride but also the company of their horse! As always one or more spare horses will accompany us in case a change is needed. The horses are the local Uruguayan “criollo” breed and “criollo” cross: ideally suited to the terrain. Criollo is the horse breed in Uruguay, Argentina and the south of Brazil. The breed was developed from horses that were brought from Spain in the 17th century and then bred in this region. Criollo is a strong horse with an excellent walk and good character. We use local, ‘western’ type saddle with a sheep skin. Neck reining (western ‘one-hand riding). Help will be given in adjusting to this tack which is very suitable for long days in the saddle. Accommodation: The accommodations provided in this program include charming seaside hotels and ranches available in the areas we visit, all of which include private bathroom. They are clean, comfortable and provide a very good service. You will be able to get good night’s sleep in pleasant surroundings. If you are sharing your room, please let us know in advance if you prefer twin or double beds. Meals: After a full day riding, it is comforting to know that you can return to fully prepared meals that reflect the local cuisine. All meals are prepared with completely natural and fresh products of the region. Red meat, fish and wine are specially recommended, but we can easily cater for vegetarians. Climate: The weather in Uruguay is variable, but you can expect somewhat warm spring and autumn temperatures, although we might also get some cool days (especially early in the morning or at night) and perhaps some rainy days too. The average temperature at this time of year is 65 F, average lows are 54 F, and average highs are 74 F.
Clothes and Equipment: Clothes and equipment should be light to accommodate for riding. You will also need: Sun block, insects repellent, a warm coat, jacket or sweater, hat (sun/rain), footwear (boots or sneakers) bathing suit and wet weather gear for the eventuality of rainy days. Don’t forget to bring your camera and binoculars. Remember that as your bags will be transferred from accommodation to accommodation by car, you can pack as much clothes as you want to feel comfortable. Emergencies: In case of accident, our guides will always carry a mobile phone which they will use to contact local assistance. All of the towns along our route count on a medical emergency service. Health services: In general, public sanitation and health care in Uruguay are very good. In the event of illness or accident during your stay, you should be prepared to pay for assistance. Upon return home you can submit a claim for reimbursement according to the specifications of your insurance policy. Visa and Master card are credit cards commonly accepted. Safety: The places we will be visiting in the countryside are completely safe. Ask for others available dates for closed groups.We ride from October to December adn from late February to April. Included: All accommodations; all meals and mineral water (except 1 day); English speaking guide; 7 riding days; horses and grooms services & 7 nights (Private Bathrooms); transfers and tours as per itinerary. Not Included: Soft and alcoholic drinks; personal expenses & Tips. Maximum Weight limit: 95 Kg. An additional of U$S 385 (NET) per person will be charged for the whole trip to clients exceeding this limit in order to provide an extra horse. Small Group Supplement: A surcharge of U$S 770 NET per person (accommodated in DBL room) will be applied to small groups up to 3 people. Lares terms & conditions apply. Booking will be confirmed upon receipt of the corresponding deposit (A 20% non-refundable prepayment will be required upon confirmation and balance payment will be required no later than 45 days before beginning of the tour). Same conditions apply to groups booking a private or regular departure trip. We reserve the right to alter the itinerary due to circumstances beyond our control. Appropriate medical insurance is mandatory and the responsibility of each guest/booking agent. It is the responsibility of the individual guest/booking agent to ensure that participants have the necessary riding skills to take part in the chosen tour. Guests are strongly advised to bring and wear their riding helmets while riding during the tour. Guests will be required to sign a responsibility release before starting a tour. Lares reserves the right to use the pictures taken to the riders during this tour and/or the comments received by participant riders describing the services and their experience, with publicity purposes. Please note that the last day includes riding during the morning and a quick lunch. Departure to Montevideo is usually scheduled around. 14:00, arriving approximately at 17:00. This means that riders leaving on the same day should not book flights earlier than 19:00. Eat, Drink & Ride is the proposal of this amazing 4 day-Day riding tour that will take you to the hilly landscape of Colinas de Garzon, the amazing coast of the Atlantic Ocean, unforgettable sunsets blended with some of the best fine wines, art galleries, amazing countryside routes and the company of some of the best horses you will ever meet! Highlights: Uruguay is a small friendly country of experiences, a country to enjoy the simple things of life (which sometimes turn out to be the greatest! )… You can relax and enjoy things like good fresh food cultivated by locals, a cooking class with a worldwide famous local chef who will received you at his home to share with you, fine good wines made by passionate owners, virgin beaches visited by everyone (which really means “not many”), music from the heart like Tango and Candombe… In the native traditions that existed in our lands before the arrival of the Spaniards, the horse was a symbol of power, endurance and freedom. In those cultures, the horse signified loyalty, love and the unwavering faith of the warrior spirit that understands the power achieved through true cooperation. We invite you to get to know our horses, learn how to bond with them through communication and enjoy a wonderful trip! The horse is an integral part of nature, and its passage doesn’t disturb the environment around us, enabling us to enter natural reserves, forests and beaches without disturbing the animals living in these areas. Arrival and transfer to “Aguaverde Vineyards”. Start your horseback riding adventure by choosing your horse! Ride along the vineyards and through internal trails towards Finca Narona to enjoy lunch overlooking the vineyards of this vintage special winery. Ride back to Aguaverde Wine lodge for a typical “Uruguayan Mate Tasting”. Dinner and accommodation at “La Rosita” bed & breakfast. D.
After breakfast, we will drive to our horses and ride to the Atchugarry Foundation founded by Pablo Atchugarry, renowned Uruguayan artist. We will ride along private trails, bordering local estancias and studs until we get to the “Sculpture Park” and exhibition Centre. Enjoy a picnic lunch and then continue riding onto “Las Taperas” bed & breakfast, a cozy local posada located in the lovely countryside area of the region. Dinner and Accommodation at “Las Taperas”. B, L, D.
After breakfast, begin your day riding your horse along “Camino Medellin” and onto the isolated beach of “La Boyita”. Experience the freedom of cantering along the coast before arriving to the Jose Ignacio Lagoon where we will stop to enjoy a picnic lunch before continuing to the town of Jose Ignacio. Tonight we suggest dinner at the famous “La Huella” beach restaurant. Accommodation at La Viuda de Jose Ignacio. B, L.
After an early breakfast, ride along the beach towards “La Lengueta”, where the Garzon Lagoon reaches the ocean! For the adventurous ones, we offer the possibility to swim with the horses at the lagoon before continuing cross country along private trails of local private estancias and onto the Anastasio Lagoon. 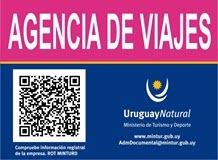 Transfer to Punta del Este Airport, or bus terminal.